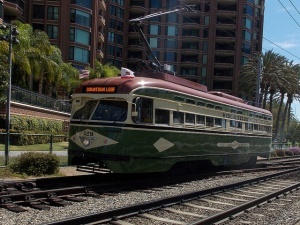 This line is operated with a restored 1946 vintage PCC streetcar serving the Downtown Loop. 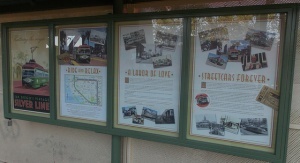 The Vintage Trolley operates on Tuesdays, Thursdays, Saturdays and Sundays and departs from the 12th and Imperial station every 30 minutes. It takes approximately 30 minutes to complete the Downtown loop. MTS tickets and passes are accepted. Vintage Trolley service is subject to cancellation due to construction, special events, or vehicle maintenance. This page was last edited on 10 September 2018, at 20:07.